Tenorshare Android Data Recovery is one of the best data recovery software for Android mobile devices and tablets. It is simple, fast and intuitive. With few clicks, you can recover the lost or deleted contacts, call history, messages, photos and videos from cell Phone easily. 2000 pictures Recovery supported for Android wipe photo recovery. 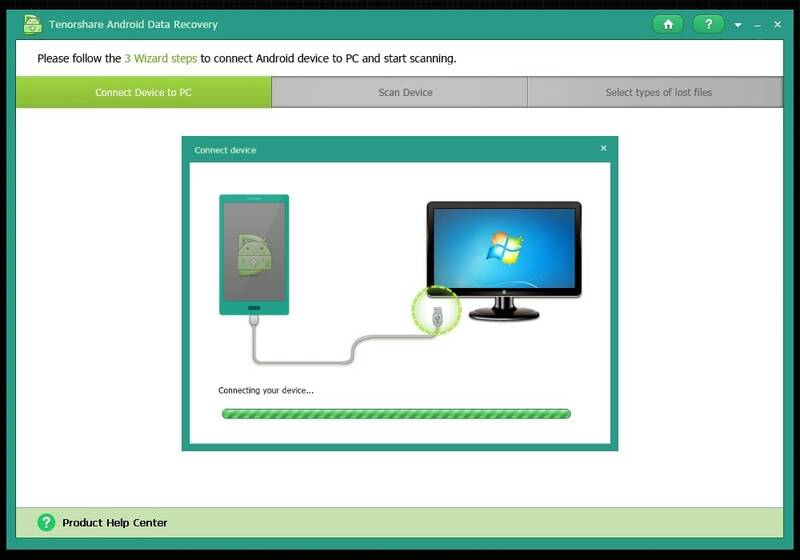 This powerful Android file recovery enables you to recover data from Android phones or tablets due to mistakenly deletion, rooting mobile device, restoring mobile phone to factory settings, ROM flash, memory card data lost, Unlocking Boot loader or device broken. The newest version of this product offers some excellent capabilities that users will especially enjoy, including the function that can detect Android device internal and external memory directly, preview lost file before recovery, etc.